Our clinic includes a team of 17 radiologists, each with his/her own subspeciality. These include neuroradiology, mammography, musculoskeletal, thoracic, and gastrointestinal radiology. The name Radiology Varad derives from the abbreviation of Vallée et Associés Radiologistes. In 1965, the first private radiology clinic of Vallée et Associes Radiologistes was open to the public. Its location was on Rene Lévesque Boulevard East near St. Luc Hospital. Several radiologists, with the majority of them being part of the Radiology Department at St. Luc Hospital, worked together and contributed to its renowned reputation in the medical sector. April 2000, our clinic relocated its office to Complexe Desjardins where we now offer our patients a computerized digital environment with the latest equipment technology has to offer in general radiology: ultrasonography, computerized tomography (CT scan), and magnetic resonance imaging (MRI). Dr. Jean-Martin Baillargeon graduated from Laval University in Quebec City with a degree in diagnostic radiology from the Université de Sherbrooke. He has specialized in neuromuscular and musculoskeletal magnetic resonance imaging, women's imaging and pediatrics in the United States, at Purdue-Indiana University and at Harvard University in Boston. Subsequently, he completed his specialized training in gynecology and obstetrics imaging in London. Radiologist at the Centre hospitalier de l’Université de Montréal (CHUM), Dr. Baillargeon works in the fields of gyneco-obstetric imaging and magnetic resonance imaging (neurological and musculoskeletal). Dr. Jean-Sébastien Billiard completed his medical studies at the University of Lyon in France in 1988, and his specialty studies in diagnostic radiology also at the University of Lyon in 1993. After completing a fellowship in Abdominal and bone imaging in the radiology department of Fleurimont Hospital at the Université de Sherbrooke in Quebec, he worked at the Bellevue University Hospital (University of St-Etienne, France). He returned to Quebec as a radiologist and professor at the Université de Sherbrooke in 1999. He joined the CHUM Saint-Luc Hospital radiology team in 2004 and Varad Radiology in 2005. Dr. Billiard is an associate clinical professor in the Department of Radiology at the Université de Montréal and is particularly involved in the teaching of his specialty. He continues to have a diverse radiological practice, with points of interest in abdominopelvic imaging and oncology intervention. Dr. Louis Bouchard graduated from the University of Montreal in Medicine in 1995 and diagnostic radiology in 2000. He subsequently carried out specialized studies fellowship in angioradiology and interventional radiology at Toulouse University Hospital Rangueuil under the supervision of Professors Joffre and Rousseau. Dr. Bouchard has leading expertise in angiography and imaging noninvasive vascular (Doppler, angioscan, angioresonance). Since 2001, he has been an active member of the CHUM angioradiology section where he developed a particular interest for hepatobiliary interventional radiology and interventional oncology. Dr. Nathalie J Bureau is Professor in the Department of Radiology, Radiation Oncology and Nuclear Medicine of the Faculty of Medicine of the University of Montreal, Research Fellow Clinician of the Quebec Research Fund in Health and musculoskeletal radiologist at the Hospital Center of the University of Montreal (CHUM). 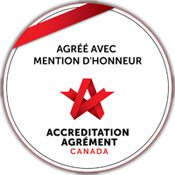 Dr. Bureau obtained her Doctorate in Medicine (1987) and her certificate as a specialist in diagnostic radiology (1993) from the Université de Montréal. She completed a year of Clinical Fellowship in Diagnostic and Interventional Musculoskeletal Imaging at the University of Virginia (1993-1994) and, most recently, she graduated from the University of Montreal with a Master of Science degree in Biomedical Sciences (2012-2014). In 2004, Dr. Bureau received the Bernadette Nogrady Award from the Radiological Society of Quebec to the radiologist with less than 11 years of career having the most illustrated on the academic scene and/or research. In 2012, she received the Excellence and Training Award from the Canadian Institutes of Health Research in the Evaluation and Treatment of Mobility and Postural Disorders (MENTOR Program 2012-2013). Dr. Bureau was Head of the Musculoskeletal Imaging Section and a member of the CHUM Radiology Department Executive Committee from 2005 to 2013. On the local, national and international scenes, Dr. Bureau has been a guest speaker more than 140 times . Since the beginning of her career, she has published more than 80 scientific articles and book chapters. Dr. Bureau divides her time between her clinical, teaching and research activities. Dr. Suzanne Fontaine is a graduate of the Université de Montréal in Medicine and Diagnostic Radiology. She completed a subspeciality in neuroradiology at the Montreal Neurological Hospital and Institute and advanced training courses in the United States and Europe. She has been an Associate Clinical Professor in the Department of Radiology at the Université de Montréal and at the Department of Neuroradiology, Neurology and Neurosurgery at McGill University. 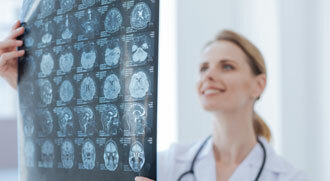 She has gained special expertise in MRI of the spinal cord and brain. She was a pioneer in transcranial Doppler ultrasound. Dr. Fontaine has a special interest in vascular and metabolic diseases of the central nervous system, as well as diseases of the spine. Very scientifically active, she has published more than 40 scientific articles and has presented numerous conferences at the local, national and international levels. She has also been very involved in teaching medical students and residents, and is still actively involved in continuing medical education with family physicians. She has always maintained her expertise in general radiology and participates in the clinical and administrative activities of Radiologie Varad, for which she has been the medical director for several years. Dr. Marianne Lepage-Saucier obtained her medical degree at the Université de Sherbrooke in 2006. She then specialized in diagnostic radiology at the Université de Montréal, a course completed in 2011. Subsequently, she did a post-doctoral training in imaging and musculoskeletal procedures for one year at the University of California in San Diego in the United States, and 5 months in Lille and Brussels in Europe. In early 2013, she joined the CHUM and Varad team. She specializes in the field of both diagnostic and interventional musculoskeletal radiology, using all imaging modalities. Dr. Marianne Lepage-Saucier is also an Assistant Clinical Professor in the Department of Radiology, Radiation Oncology and Nuclear Medicine at the Université de Montréal. She teaches radiology to undergraduate medical students at Université de Montréal and is a university professor in radiology at the externship. Dr. Lepage-Saucier also plays an active role in introducing ultrasound education to medical students at the Université de Montréal, as well as collaborating in the research activities of her department at the CHUM. Dr. Thomas Moser graduated from medical school in 2000 and earned his diploma as a specialist in diagnostic radiology in 2005 at the University of Strasbourg, France. He was head of Clinic at Strasbourg University Hospitals for three years, practicing in the field of musculoskeletal and interventional imaging. In 2008, he did a fellowship in musculoskeletal imaging at the University Hospital of Montreal (CHUM). He joined the team of radiologists at the CHUM and Varad Radiology Clinic in 2009. He is an Associate Clinical Professor in the Department of Radiology at the Université de Montréal and has particular expertise in interventional and palliative techniques of the spine and the motor apparatus. He is also interested in high-resolution imaging of the joints and peripheral nerves. He is strongly involved in the research and teaching of his discipline. He holds a Master's degree in Science from Paris VII University and is the author of numerous national and international publications and presentations. Dr. Jessica Murphy-Lavallee is a graduate of McGill University in Medicine (1998) and a graduate of Université de Montréal in Diagnostic Radiology (2004). After completing a fellowship in Abdominal Imaging at the University of Toronto, she joined the team of radiologists at Varad Radiology Clinic and works at the Centre Hospitalier Universitaire de Montreal. She is presently an Assistant Clinical Professor for the Department of Radiology at Université de Montréal. She specializes in abdominal imaging and subspeciality is contrast ultrasonography. Her scientific research projects are centered on the development of contrast ultrasonography and the teaching of this method in both Quebec and in Canada. A medical graduate from the Université de Sherbrooke in 1990, Dr. Perreault completed his specialization in diagnostic radiology in 1995. He continued his training in abdominal and interventional radiology in the hospital network at the Université de Montréal and completed a fellowship of a year in the radiology department of Professors Joffre and Rousseau at Rangueil Hospital in Toulouse, France, where he acquired expertise in vascular and interventional radiology. An active member and associate clinical professor in the Department of Radiology at the Université de Montréal, Dr. Perreault has been a radiologist partner of Radiologie Varad since 1997. His main areas of interest are hepatobiliary pathologies, portal hypertension, the treatment of uterine fibroids and peripheral vascular disease. Dr. Perreault is a member of the Society of Interventional Radiology and the Cardiovascular and Interventional Radiological Society of Europe. Dr. An Tang completed his medical studies at the Université de Sherbrooke in 2000 and his specialty in diagnostic radiology at the Université de Montréal in 2005. After completing a postdoctoral training in abdominal imaging at the University of Toronto in 2006, he joined the CHUM and Radiologie Varad team. Supported by prestigious Fulbright Scholarships and Canadian Institutes of Health Research, he pursued postgraduate training in liver magnetic resonance imaging research at the University of California, San Diego in 2012. Dr. Tang is currently Associate Professor in the Department of Radiology at the Université de Montréal. His specialty includes magnetic resonance imaging (MRI), computed tomography (CT) and ultrasound of the abdominal and pelvic organs.